by members, visitors and friends. 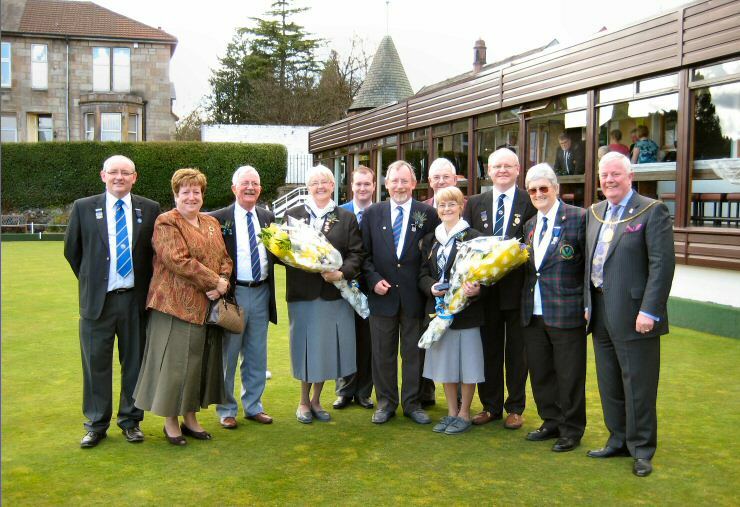 VIP guests included Provost Russell Clearie and his wife Councillor Pam Clearie, SBA Tom Allan, GBA Jim Proctor, RDBA vice pres Jim Armour and Pres Ron Davie, SBF Danny Watson, Lady President Cathie Meikle and Lady VP Nancy McDonald.... all in the photo above. The Board of Directors were welcomed onto the green and our 4 newest members, Bill McArthur, Douglas Carroll, Kenny Walton, Jamie McInall were given a warm welcome. 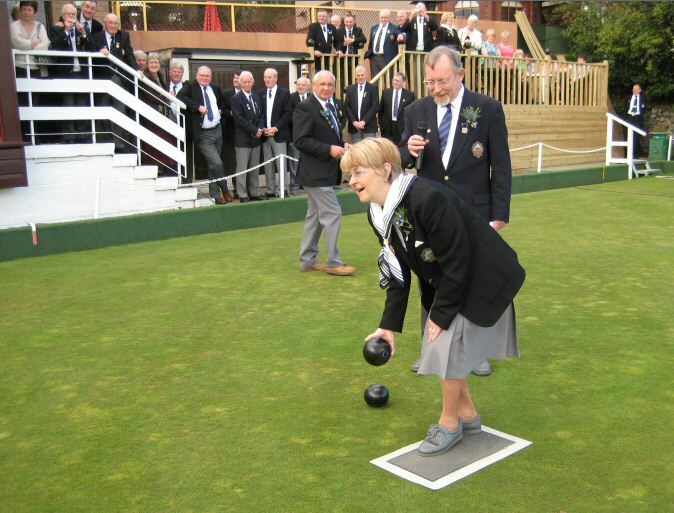 Lady VP Nancy McDonald opening the green by delivering the first bowl.